I totally admire how top psychology researchers regularly get a lot of airtime in US mass media outlets – doesn´t happen that much here in Germany. The following list comprises 10 (more or less) recent pieces from the venerable New York Times. All of them were written (or cover work) by some of the figureheads of Positive Psychology. Positive Psychology has a lot to offer for leaders, especially those people taking on a leadership role in human resources and people management. 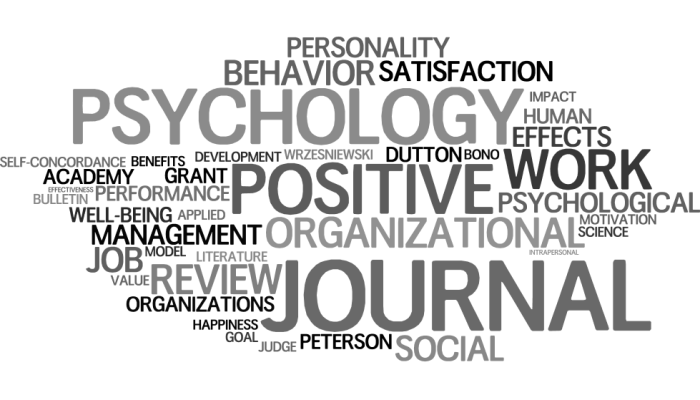 In this post, I´ve gathered 22 research articles infused by Positive Psychology (more specifically: Positive Organizational Scholarship) that, in my opinion, have tremendous value for aspiring as well as established managers and entrepreneurs. The topics comprise desirable attributes and personality variables such as grit, character strengths, and core self-evaluations, how to create positive relationships at work, how employee motivation is created and sustained, how to find meaning and purpose in work, and several review articles, e.g., on the connection of positive emotions and job performance. Enjoy! Grant, A. M., Curtayne, L., & Burton, G. (2009). Executive coaching enhances goal attainment, resilience and workplace well-being: A randomised controlled study. The Journal of Positive Psychology, 4(5), 396-407. Feeling that your work has a deeper meaning or purpose has many positive consequences, for yourself as well as your organization: For instance, higher levels of engagement, job satisfaction, and (individual) performance. Therefore, researchers as well as practitioners have tried to find the antecedents of meaning in work for quite some time. Yet, it turns out that it´s a pretty complicated issue. A job that yields a lot of meaning for one person might feel totally meaningless for another individual. 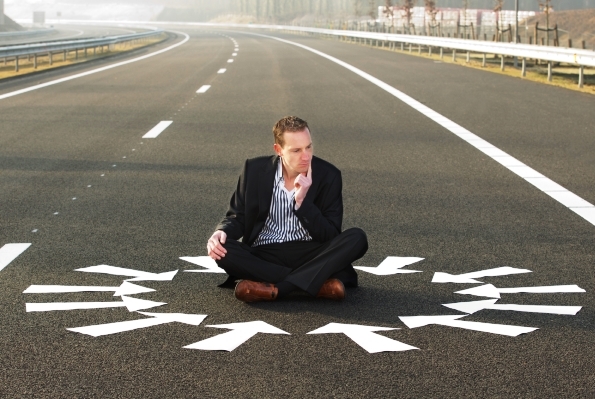 Where should we look for the source of meaning in work? Is it something that can be found within ourselves? Does it depend on the type of job? 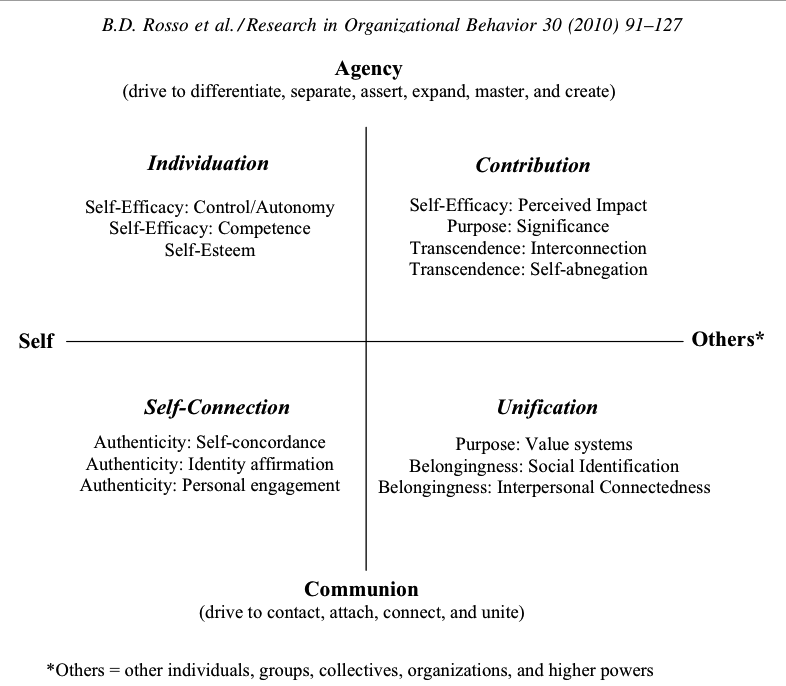 Or is it determined by some characteristics of the organization? The answer is: very likely, all of those factors do play their role – and in part, meaning depends on the interaction between the characteristics of the person and those of the job. and the last (but not least) impact comes in the form of work-role fit (= a perceived match between personal identity and actual job activities). We find meaning in our work when we frequently have the opportunity to perceive the (positive) outcome of our individual contribution, when our organization promotes a culture of fairness, trust, support – and authentically commits to some “greater good”, and when we feel that our job provides us with lots of opportunities to use our unique talents and matches our personal values. In another fascinating article, Brent D. Rosso et al. try to provide an integrative model that compasses (more or less) all known factors that influence perceived meaning in work. Personally, I think it´s a very insightful (and: beautiful…) piece of research – and I will reread it frequently. I think, it is pretty self-explanatory, so I´ll leave it up to you to make the most of it. 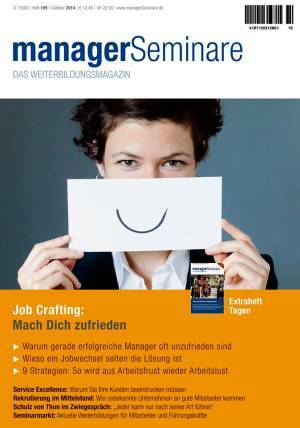 In the October issue of managerSeminare, Germany´s premier professional magazine for coaching and training, the lead article is concerned with workplace happiness and job satisfaction. I´ve been interviewed for that piece and was able to contribute some notions on job-crafting as theorized by MAPP lecturer Amy Wrzesniewski. The print article lies behind a paywall but I might be able obtain a PDF to share in some weeks. In the meantime, you might want to listen to a podcast based on that article. This is available for free. Enjoy! By the way: an article from spring 2014 in that same Magazine, which deals with a more general introduction to Positive Psychology, can be obtained for free here. Actually, I should be busy writing on my MAPP final papers right now. But then, taking short breaks is supposed to help your mind stay fresh, right? By now, a lot of people that have read my blog also contacted me to ask about my MAPP experience. Obviously, it´s not that easy to tell a story of 10 months in a few sentences. Hey, that´s why I started this blog in the first place…* There´s also been some questions about the tuition – and to be honest, it´s not exactly a bargain. 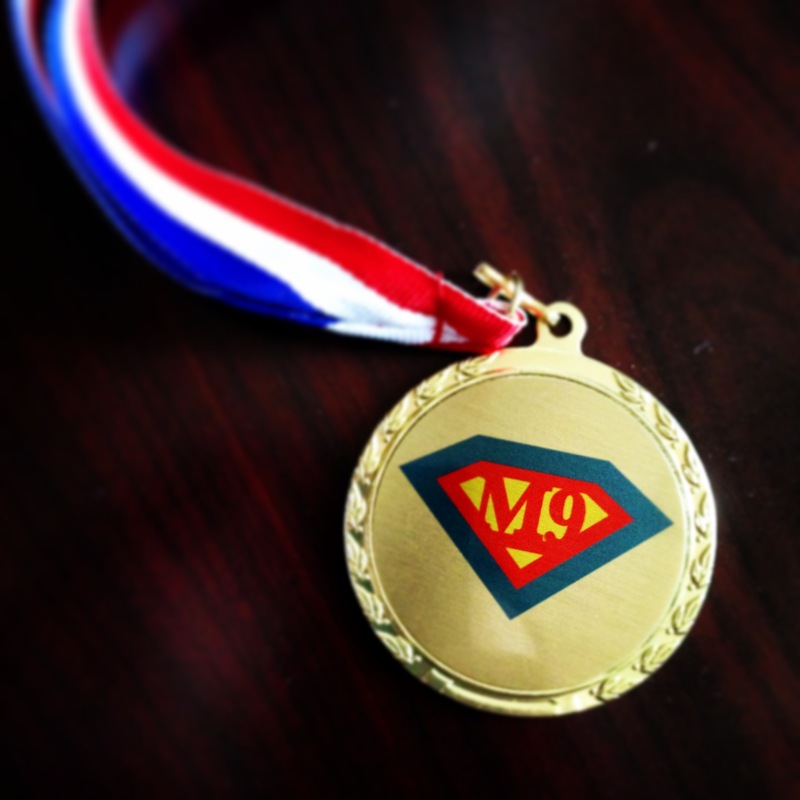 I could have not taken part without some generous support from my employer (or rather: my boss). But hey – Penn belongs to the Ivy League and that comes with a price tag.